Manchester United have held talks with Borussia Dortmund in recent months, though not to sign midfielder Ilkay Gundogan, according to Sporting Director Michael Zorc. Get Manchester United highlights with our FREE Football video app! 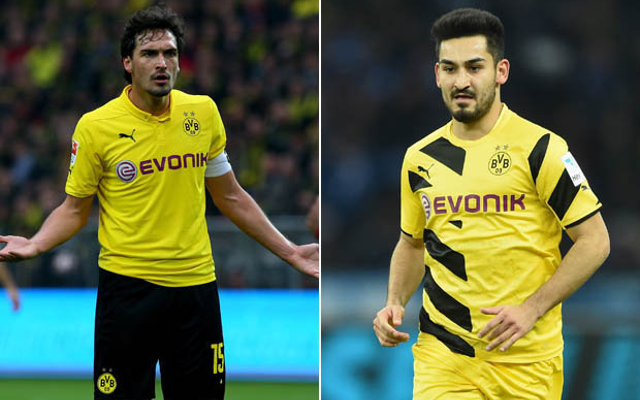 The Red Devils have also been linked with defender Mats Hummels and attacking midfielder Marco Reus, but it remains to be seen which has been the main subject of their interest in recent times. Zorc confirmed talks with United back in November, though he did not name the player the Premier League giants were asking about, the Daily Star reports. Louis van Gaal’s side spent big last summer and could be set to do so again this year, with the Dutchman keen to turn his side into title challengers again after an up-and-down campaign battling it out for a top four spot. Dortmund, meanwhile, are set to lose their manager Jurgen Klopp at the end of this season, and could find it hard to keep hold of their star players.